Update on Tomorrow’s Menu and Special Short Film Screening! 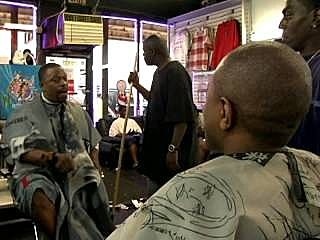 An East African MC, Balozi Dola, wanders into a Bronx barbershop on his pilgrimage to find “the real hip hop.” Stumbling upon the pioneers of the New York hip hop scene, including Grandmaster Flash’s original partner DJ Easy Mike, Balozi enters the scene rhyming with Grandmaster Caz. “Bongo” is the Swahili expression for “Brain” used in local hip hop slang. We’re psyched to be closing out our season by teaming up with this awesome organization to show this film. Our sponsors, Home/Made and Pickett Furniture, are bringing us a delicious menu of foccacia with figs from Jeremy Pickett’s own backyard, and Home/Made is bringing back their popcorn for those of you who have been missing it this year. We’ll also have Paletas, Mexican ice pops, from neighbor La Newyorkina, and Walter Youngblood will be on hand with his popsicles again, so there’ll be no shortage of delicious treats on our final night! The weather report is looking good, so we’ll see you at the pier! ← DON’T TELL MOM THE BABYSITTER’S DEAD, coming August 27!